Steps Toward Salvation is a monograph tracing the ideas of Coinherence and Substitution through the novels of Charles Williams, the twentieth century author of what his friend T. S. Eliot classified as “supernatural thrillers.” Dennis Weeks defines these two ideas as “mystical pathways by which one might approach unity with a Godhead” (1). Weeks shows how Williams explores human nature, interpersonal relationships, and eternal destinies through depictions of mystical practices that are supposed to illustrate and give meaning to the idea of sacrificial love. He also traces the influence of Kierkegaard and Jung on Williams’ existential and religious sensibilities. Williams’ novels are very odd, and they certainly are not to everyone’s taste. However, Weeks does a good job of showing the spiritual and psychological depth that Williams displays. Weeks effectively depicts the overarching vision of Williams’ novels – a vision of a universe in which individuals are connected to each other, or “coinhere” in one another, often in unseen ways. This coinherence is revealed and intensified when loving acts of substitution are committed on the behalf of others. As I said, the novels are not for everyone, and their obscurity can make for difficult reading. For those who make the effort to decipher them, Steps Towards Salvation is a welcome guide. It’s true that Rob Lowe’s poster from St. Elmo’s Fire as sax-playing Billy hung on my dorm room wall. 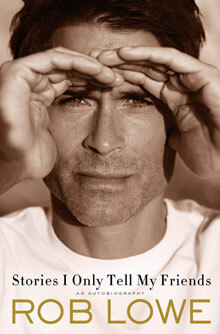 It’s true that I was obsessed with the film About Last Night in which Rob Lowe wore a Cubs hat and a goldenrod t-shirt that read “No Lights in Wrigley Field.” When I was looking for an audiobook award winner to listen to in my car, it wasn’t a hard decision to choose Rob Lowe’s autobiography, Stories I Only Tell My Friends, a 2012 Audie nominee for Narration by the Author. Lowe has been active in politics since he was teenager and shares stories of friendships with activists Jane Fonda, Michael J. Fox, John F. Kennedy, Jr., and President Clinton (another great impression). He also talks at length about his experience on the political drama The West Wing, the role-of-a-lifetime for him. In addition to his career, Lowe discusses his family life, growing up a theater nerd in Ohio and later moving to Malibu, California with his mom and stepfather; and his romantic relationships, including Princess Stephanie of Monaco and wife Sheryl Berkoff, a makeup artist he got to know during the filming of Bad Influence. He and Sheryl have two sons. I thoroughly enjoyed this book and couldn’t wait to get into my car every day. And now Youngblood and The Outsiders are on reserve for me at the public library. Fiction · Graphic Novel · Humor · Kelly M · Quick Read! 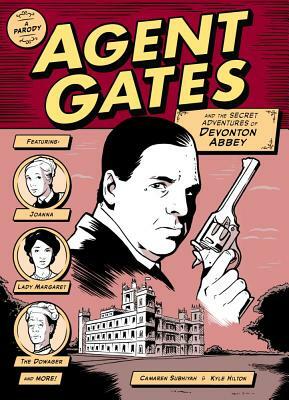 This graphic novel and parody of the popular PBS Masterpiece show, Downton Abbey, is hilarious. Some members of the Crawhill family and staff of Devonton Abbey are SIS (Secret Intelligence Service) agents who “keep an eye on the subversive activity transpiring in neighboring countries.” Other members of the Devonton Abbey household are oblivious to the secret identities of the people with whom they live and work. The mission of the SIS: to capture and question German foreign minister, Gottlieb Von Jagow, Enemy of the Crown, who is planning a visit to Devonton on his way to the German Embassy in London. The artwork in the book really captures the actual characters of Downton Abbey. The outrageous story lines seem like they could even work on the show–if it were a Mel Brooks comedy. Behind his cane and limp, Mr. Gates (Bates) has a secret bionic leg that can smash anything to bits. Lord Granville (Lord Grantham) is obsessed with destroying the undignified blackbirds flying around Devonton and insists that his telegrams be ironed. Lady Ethel (Edith) is in love with a llama in the petting zoo on the property. Lady Cynthia (Sybil) organizes a “Tobacco for Children” benefit for children working in mills who can’t afford snuff and cigarettes. Sweetsy the dog becomes pregnant with the heir to the Devonton estate. I would highly recommend this quick and entertaining read to fans of comedy and Downton Abbey. A rising star football player for the San Francisco 49ers is the prime suspect in a grisly murder. At the same time, Lindsay is confronted with the strangest story she’s ever heard: An eccentric English professor has been having vivid nightmares about a violent murder and he’s convinced it’s real. Lindsay doesn’t believe him, but then a shooting is called in-and it fits the professor’s description to the last detail. I have read all of the Women’s Murder Club books and I look forward to each one. I couldn’t wait to get my hands on this book. Out of all of James Patterson’s thriller series books, this is my favorite. If I’m being honest though, it didn’t have as much action and suspense as the previous ones had. It’s not the best of the series that I have read. But then the action did pick up some. The biggest letdown was the ending, the story just stops and ends ABRUPTLY! It leaves you hanging and thinking, WHAT!? 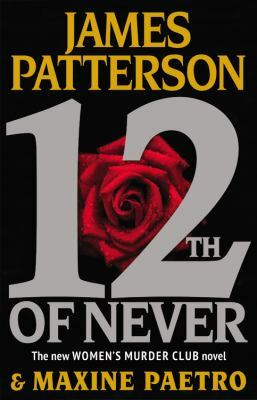 The ending leads you to believe there will be a 13th book in the series, which I will read with the hope that J. P. once again, writes an awesome thriller that cannot be put down! If you enjoy the Women’s Murder Club books you will enjoy this one, it just wasn’t as exciting and suspenseful as the previous books in the series. I still enjoyed it though, and I will always be a diehard J.P. fan. Grace Meredith believes that she is doing what her life was intended for. Grace is a touring Christian singer spreading her message to teens to wait for marriage while she is happily engaged. But the night before her last leg of her New Year, New You tour, her fiancé calls to end their engagement as he isn’t comfortable with Grace’s touring life or how she openly speaks of their relationship. Grace is heartbroken and feels like a fraud so she heads back to Chicago and to her cat Oreo to rethink where her life is headed. As she hides from her music and her message, she realizes how lonely she really is but gets help from some unexpected sources, her neighbors. I picked up this read on a whim when I found it on the New Book shelf at the public library. 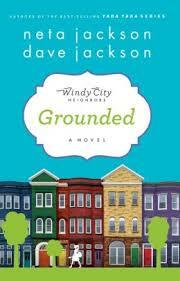 I was interested in the idea that each book of the series focused on a different neighbor on a Chicago street. Grace seemed like the perfect starting point for the series as she’s a touring artist who doesn’t know her neighbors very well and starts to get to know them over the course of the read. I liked how easy this was to read and the inspirational theme wasn’t too overpowering. I have to say that Grace was a little too needy as a character for me. She would turn the littlest things into big deals and was constantly turning down invitations from people because she didn’t know them well enough but then complained that she was lonely. 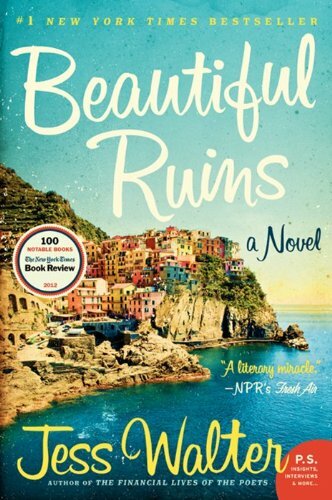 Grace did improve tremendously by the end and the Jacksons were very tricky by leaving certain aspects of the plot open at the end to peak reader’s interest for the next installment. 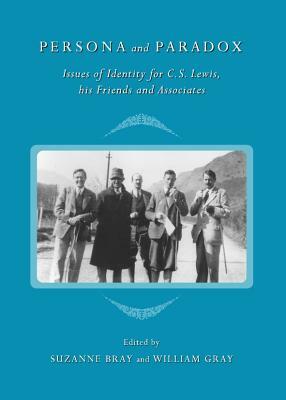 Persona and Paradox consists of papers presented at a conference on “issues of identity” for C. S. Lewis. It includes reflections on his Anglican heritage, his role as a lay theologian, his thoughts on friendship, and his relationship to people like J. R. R. Tolkien, Dorothy Sayers, T. S. Eliot, George MacDonald, and Charles Williams. There is so much literature out there on C. S. Lewis that one more book about him can seem pointless. Certainly not every essay in this collection is worth careful reading, but Lewis is such a multi-faceted figure that there is plenty that is worthwhile in these focused examinations of different parts of his heritage, be it literary, theological, philosophical, or psychological. I found the essays “A Grief Obscured: C. S. Lewis on Sorrow and Hope,” and “Was C. S. Lewis ‘Everyman’s Theologian’ (J. R. R. Tolkien)?” particularly interesting. These dealt respectively with Lewis’ memoir on the grief he experienced following the death of his wife and his qualifications as a theologian. I picked up the book specifically because I was interested in the essays on Charles Williams. There were two of these, and while thought-provoking, they were not the best part of the book.